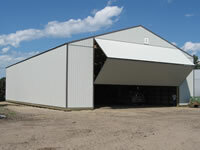 At Nodaco Building Solutions, we can help you create an agricultural building that Is well suited to your needs. Whether it’s a riding arena, a calf shelter, an equipment storage shed or a barn. From helping you choose a suitable building size and style to ensuring that your plan complies with local building codes, Nodaco is ready to offer guidance. We will work with you to develop the building concept that best suits your goals. 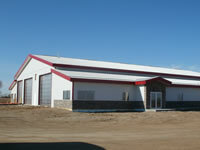 View Agricultural Post Frame Buildings projects that Nodaco Building Solutions Inc. has completed. As a business owner, you’ve likely set goals for the growth and success of your business. We can help you create a commercial facility that will aid you in reaching those goals. From helping you choose a suitable building size and style to ensuring that your plan complies with local building codes, Nodaco is ready to offer guidance and we will work with you to develop the building concept that best suits your requirements. At Nodaco, we construct only high-quality buildings; Whether you desire a manufacturing plant, or general office building we can make the final plans a reality. If your building requires certified design or engineering, we have in house drafting as well as a reputable Engineering firm which provides expert services to our projects. This team of engineers and drafting technicians uses advanced, computer-aided design systems that help you plan a functional, energy-efficient space which will meet and exceed National Building codes. We handle all aspects of your project from planning to the complete finished stage. If you are interested in a new commercial project, please contact our professional consultants. We can develop a cost-effective project design and formulate a quote for construction today. Our buildings can be designed to meet all of your needs. The key to designing a project is listening to your concerns and objectives. This is the only way to ensure a plan truly matches your needs. Our experienced salespeople will work with you to make certain your design comes to life in the most efficient manner. Nodaco has an on-going relationship with a select group of services and sub trades who are a vital contributor to our reputation of a proven track record for quality and on time delivery of construction projects. Here is a list of our sub-trades below. View Commercial Buildings projects that Nodaco Building Solutions Inc. has completed.